The MIT Center for International Studies and the Woodrow Wilson International Center for Scholars are collaborating on a $233,000 grant from the National Science Foundation (NSF) to help realize potential benefits and to address potential ecological effects of synthetic biology. The grant is supported jointly by three units within NSF, the Division of Cellular and Molecular Biology, the Division of Environmental Biology, and the Engineering Directorate. The grant will fund development of an interdisciplinary research agenda to improve understanding of potential ecological effects of commercial uses of synthetic biology. Worse Than GMO? : Urgent Action Needed! The research agenda will be developed through consultations among synthetic biologists, evolutionary biologists, ecologists, and environmental scientists. It will be based on workshops that focus on near- and medium-term applications of synthetic biology, with scenarios based on the intentional and unintentional release of engineered organisms. This project will be conducted jointly by the Program on Emerging Technologies of the MIT Center for International Studies and the Synthetic Biology Project at the Wilson Center. It will build on four previous workshops that brought together a wide range of scientists, regulators, NGOs, companies, and other stakeholders to discuss possible ecological risks associated with synthetic biology products and to identify sources of uncertainty over risks. These workshops were funded jointly by the Alfred P. Sloan Foundation and the NSF Synthetic Biology Engineering Research Center. The project is expected to be completed in one year. A small board of advisors has been created to guide the design and execution of the workshops. Under the terms of the order, the numbers of both parties on a call are handed over, as is location data and the time and duration of all calls. The National Security Agency is currently collecting the telephone records of millions of US customers of Verizon, one of America’s largest telecoms providers, under a top secret court order issued in April. The secret Foreign Intelligence Surveillance Court (Fisa) granted the order to the FBI on April 25, giving the government unlimited authority to obtain the data for a specified three-month period ending on July 19. Under the terms of the blanket order, the numbers of both parties on a call are handed over, as is location data, call duration, unique identifiers, and the time and duration of all calls. The contents of the conversation itself are not covered. The disclosure is likely to reignite longstanding debates in the US over the proper extent of the government’s domestic spying powers. Under the Bush administration, officials in security agencies had disclosed to reporters the large-scale collection of call records data by the NSA, but this is the first time significant and top-secret documents have revealed the continuation of the practice on a massive scale under President Obama. The unlimited nature of the records being handed over to the NSA is extremely unusual. Fisa court orders typically direct the production of records pertaining to a specific named target who is suspected of being an agent of a terrorist group or foreign state, or a finite set of individually named targets. The Guardian approached the National Security Agency, the White House and the Department of Justice for comment in advance of publication on Wednesday. All declined. The agencies were also offered the opportunity to raise specific security concerns regarding the publication of the court order. The court order expressly bars Verizon from disclosing to the public either the existence of the FBI’s request for its customers’ records, or the court order itself. “We decline comment,” said Ed McFadden, a Washington-based Verizon spokesman. The information is classed as “metadata”, or transactional information, rather than communications, and so does not require individual warrants to access. The document also specifies that such “metadata” is not limited to the aforementioned items. A 2005 court ruling judged that cell site location data – the nearest cell tower a phone was connected to – was also transactional data, and so could potentially fall under the scope of the order. While the order itself does not include either the contents of messages or the personal information of the subscriber of any particular cell number, its collection would allow the NSA to build easily a comprehensive picture of who any individual contacted, how and when, and possibly from where, retrospectively. It is not known whether Verizon is the only cell-phone provider to be targeted with such an order, although previous reporting has suggested the NSA has collected cell records from all major mobile networks. It is also unclear from the leaked document whether the three-month order was a one-off, or the latest in a series of similar orders. The court order appears to explain the numerous cryptic public warnings by two US senators, Ron Wyden and Mark Udall, about the scope of the Obama administration’s surveillance activities. For roughly two years, the two Democrats have been stridently advising the public that the US government is relying on “secret legal interpretations” to claim surveillance powers so broad that the American public would be “stunned” to learn of the kind of domestic spying being conducted. Because those activities are classified, the senators, both members of the Senate intelligence committee, have been prevented from specifying which domestic surveillance programs they find so alarming. But the information they have been able to disclose in their public warnings perfectly tracks both the specific law cited by the April 25 court order as well as the vast scope of record-gathering it authorized. Julian Sanchez, a surveillance expert with the Cato Institute, explained: “We’ve certainly seen the government increasingly strain the bounds of ‘relevance’ to collect large numbers of records at once — everyone at one or two degrees of separation from a target — but vacuuming all metadata up indiscriminately would be an extraordinary repudiation of any pretence of constraint or particularized suspicion.” The April order requested by the FBI and NSA does precisely that. The law on which the order explicitly relies is the so-called “business records” provision of the Patriot Act, 50 USC section 1861. That is the provision which Wyden and Udall have repeatedly cited when warning the public of what they believe is the Obama administration’s extreme interpretation of the law to engage in excessive domestic surveillance. “We believe,” they wrote, “that most Americans would be stunned to learn the details of how these secret court opinions have interpreted” the “business records” provision of the Patriot Act. Privacy advocates have long warned that allowing the government to collect and store unlimited “metadata” is a highly invasive form of surveillance of citizens’ communications activities. Those records enable the government to know the identity of every person with whom an individual communicates electronically, how long they spoke, and their location at the time of the communication. Such metadata is what the US government has long attempted to obtain in order to discover an individual’s network of associations and communication patterns. The request for the bulk collection of all Verizon domestic telephone records indicates that the agency is continuing some version of the data-mining program begun by the Bush administration in the immediate aftermath of the 9/11 attack. 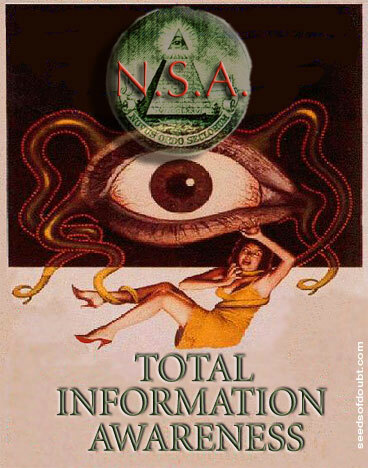 The NSA, as part of a program secretly authorized by President Bush on 4 October 2001, implemented a bulk collection program of domestic telephone, internet and email records. A furore erupted in 2006 when USA Today reported that the NSA had “been secretly collecting the phone call records of tens of millions of Americans, using data provided by AT&T, Verizon and BellSouth” and was “using the data to analyze calling patterns in an effort to detect terrorist activity.” Until now, there has been no indication that the Obama administration implemented a similar program. These recent events reflect how profoundly the NSA’s mission has transformed from an agency exclusively devoted to foreign intelligence gathering, into one that focuses increasingly on domestic communications. A 30-year employee of the NSA, William Binney, resigned from the agency shortly after 9/11 in protest at the agency’s focus on domestic activities. In the mid-1970s, Congress, for the first time, investigated the surveillance activities of the US government. Back then, the mandate of the NSA was that it would never direct its surveillance apparatus domestically. His employer says the charges against him were a reprisal and he was murdered, and the Kremlin’s own human rights council aired suspicions he was beaten to death. MOSCOW (Reuters) – A whistleblowing Russian lawyer whose death in custody became a symbol of rights abuses and strained relations with the United States will go on posthumous trial on Monday in what relatives say is revenge by the Kremlin. Sergei Magnitsky, who died while in pre-trial custody in 2009, is being prosecuted for defrauding the state in what will be the first time Russia has ever tried a dead person, a development Amnesty International says sets a “dangerous precedent”. 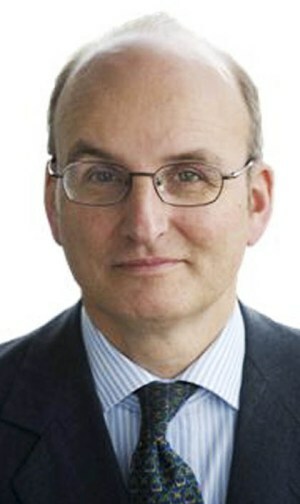 Magnitsky had been jailed after accusing police and tax officials of multimillion dollar tax fraud. His employer says the charges against him were a reprisal and he was murdered, and the Kremlin’s own human rights council aired suspicions he was beaten to death. The circumstances of his demise led the United States last year to bar entry to Russians accused of involvement in his case or in other rights abuses. Critics say the trial – more than three years after he died and despite pleas by relatives to drop the case – is an attempt by President Vladimir Putin’s government to hit back at Washington and show the public Magnitsky was a crook not a hero. 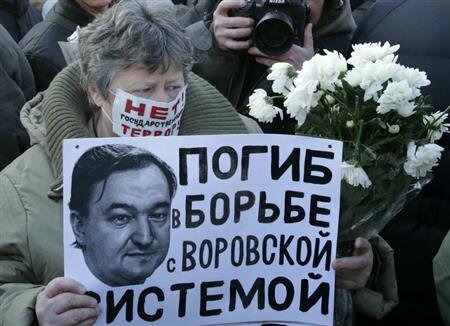 Russia took the highly unusual step of reopening the investigation against Magnitsky in 2011, as international criticism of Russia over his death mounted. “First they killed him, now they are dancing on his grave,” said a lawyer for Magnitsky’s family, Nikolai Gorokhov. After Magnitsky’s lawyers boycotted pre-trial hearings, the court appointed a lawyer to defend him. Contacted by Reuters, the court-appointed lawyer, Nikolai Guerasimov, declined to comment on the case. Putin’s spokesman Dmitry Peskov also declined to comment. Magnitsky died at the age of 37 after he said he was denied medical care over 358 days in jail. Putin said Magnitsky died of heart failure, but his former employer, London-based investment fund Hermitage Capital, says he was killed for testifying against officials he accused of a $230 million theft through fraudulent tax refunds. Hermitage owner William Browder is being tried in absentia alongside his former employee. He also faces new fraud charges filed last week over dealings a decade ago in shares in state gas firm Gazprom. Browder has said the charges are an “absurdity” meant as revenge for his campaigning for the U.S. rights legislations named after Magnitsky. Pro-Kremlin television channel NTV showed a documentary alleging Browder exploited his late employee’s death for his own ends. Critics say NTV often airs such programs to influence public opinion before charges are filed against government foes. Authorities say recent legal changes make it possible. But Magnitsky’s family lawyers say the law allows such cases only at the request of the deceased’s relatives for the purpose of clearing their reputations. No one has been held accountable for Magnitsky’s death. One prison official was tried last year but prosecutors asked the court to clear him. “Something happened in that prison that no one wants to talk about,” Zoya Svetova, an investigator for the independent prison watchdog, the Public Oversight Commission, that probed his death. “Magnitsky became a symbol of the fight against corruption, and the goal of this trial is to show he is no symbol but just a criminal who didn’t pay his taxes,” she said. The case has weighed heavily on U.S.-Russian relations. Moscow retaliated against the U.S. Magnitsky Act with its own visa ban against Americans suspected of violating the rights of Russians abroad. It also banned U.S. families from adopting Russian children. Silvio Berlusconi has defended the use of bribes in business saying they are necessary when securing international deals for Italian companies. The former Italian Prime minister said illegal payments are vital when negotiating with ‘third world countries and regimes’. Mr Berlusconi made the comments as a response to recent corruption scandals within several state-controlled conglomerates in Italy. Mr Berlusconi, spoke against the arrest of Giuseppe Orsi, CEO of Finmeccanica defence group, who was taken into custody yesterday accused of paying Indian government officials to secure a helicopter contract. The 76-year-old politician, who is running for his fourth term as Prime Minister in the country’s elections this month, said bribes are essential in international business, the Financial Times report. ‘Bribes are a phenomenon that exists and it is useless to deny the existence of these necessary situations when you are negotiating with third world countries and regimes,’ Mr Berlusconi said in an interview with Italian State broadcaster, RAI 3. The centre-right leader also defended state-controlled energy group Eni, which is alleged to have used bribes to win contracts in Algeria. Mr Berlusconi even went as far as to suggest that putting a stop to bribery has left Italian companies out of business. ‘No one will negotiate with Eni or Enel or Finmeccanica anymore,’ he said. 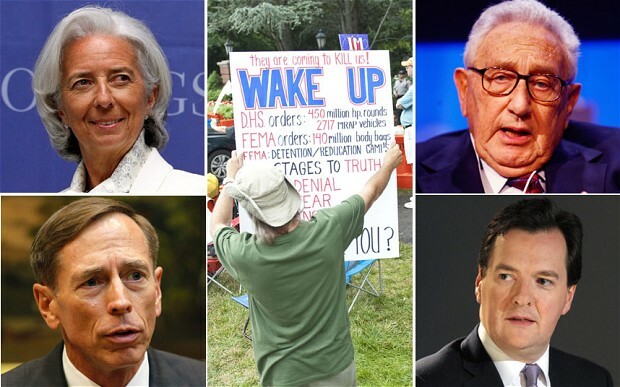 Mr Berlusconi called those who condemn financial incentives in deals outside Western democracies ‘absurd’. His comments comes one year after his own bribery case was thrown out of court. Mr Berlusconi stood accused of handing British lawyer David Mills £380,000 to lie during two 1990s trials to shield Berlusconi and his Fininvest holding company from charges related to the billionaire media mogul’s business dealings. The Italian general elections will take place 24-25th February where Mr Berlusconi is yet again heading the People of Liberty party and hoping for a centre-right coalition. His comments were unsurprisingly slammed by opposition politicians, who pointed out that Mr Berlusconi himself is appealing against his October tax fraud conviction while running for Prime Minister. Just last month an Italian court granted his defense team’s request to postpone a trial for alleged wire tapping until after the elections. Prosecutors have asked for a one-year jail sentence for Mr Berlusconi for his alleged role in the publication of wiretap transcripts in a newspaper owned by his media empire and three years for his brother Paolo, the publisher of Milan newspaper Il Giornale. 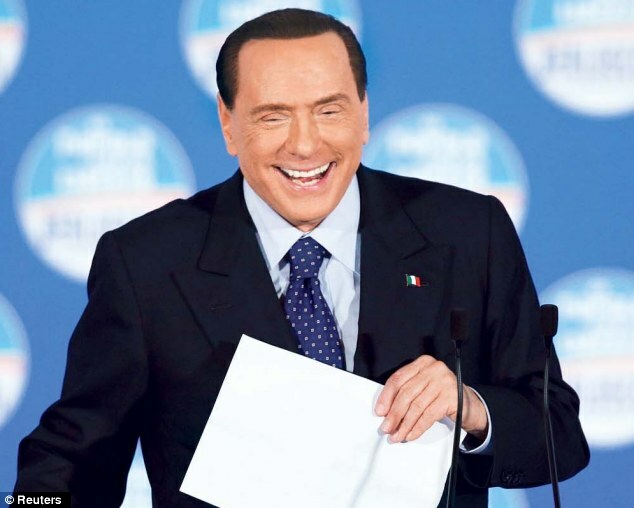 Mr Berlusconi denies all charges.